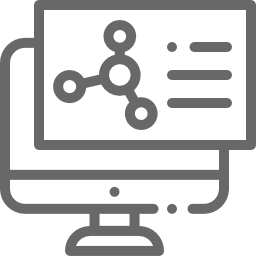 VidCruiter’s web interview solutions come with all the features and functionalities you could possibly need. 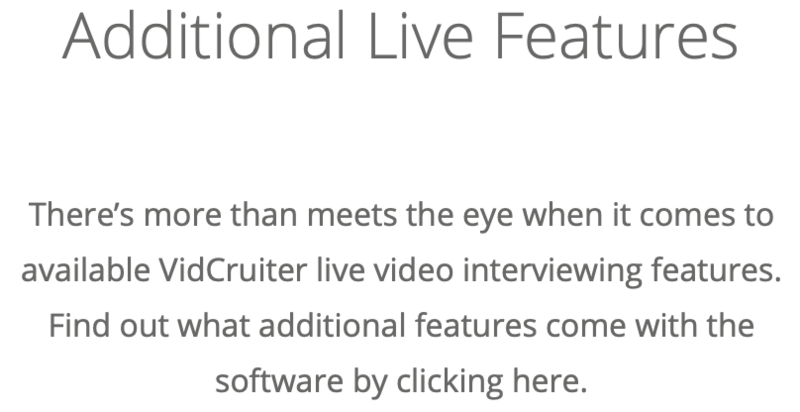 At VidCruiter, our client’s success is a priority when using our web interviewing software, otherwise known as live video interviewing software. That’s why we’ve created a number of additional services included with the system which are designed to ensure your company improves the recruitment process as much as possible. We all know the impact great branding has on recruitment. VidCruiter’s design team will make sure people who apply for your job positions will only see your branding during the web interview. All we have to do is take a look at your website and duplicate what you’ve already created with your brand. 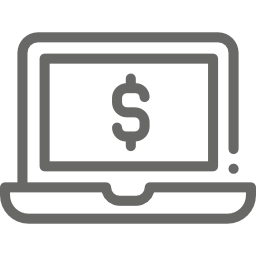 We can also take it one step further, if you provide us with your brand details, like specific color codes, fonts, and logos, we’ll be able to use that information to create your system exactly how you want it. We can also make multiple branding templates if you require more than one. While technical difficulties are rare, they do happen when working with technology. VidCruiter’s Applicant Support Team is available 24/7 just in case a problem occurs. Every person on the team works to solve the issue as quickly as possible, ensuring the interview doesn’t need to be rescheduled or take up more time than expected. Our Client Success Team will teach you how to get the most out of our web interviewing system. We work closely with every client and provide training so your recruiters will learn everything they can about the system. Doing this ensures success for your recruitment process and helps your team hit the ground running when implementing this new software. Each web interview also has a conference call phone number attached to it, so if an issue comes up you can still connect via the telephone. The number is also attached to the video, so if it’s only the audio that isn’t working, you’ll still be able to see and speak to the applicant. The backup system eliminates the need to reschedule interviews, which will ensure the process doesn’t slow down because a technical difficulty occurred. Applicants invited to connect via web interview will be able to access it using any language. The system itself is also translated into multiple languages, including English, French, German, Spanish, and many more. We’ll even set up a language you need if we don’t already provide it. Having multilingual options lets candidates use the language of their choice while increasing communication with applicants when hiring overseas. 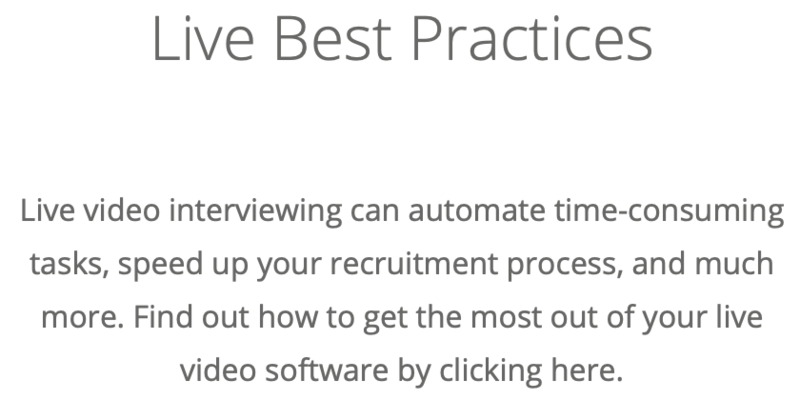 VidCruiter has a built-in tech-check system applicants can run to make sure they have the proper hardware required to perform the interview. The applicant support team monitors all tech-checks so if a problem occurs, they will reach out to offer a solution. This limits the chance of a problem occurring during the web interviews, meaning recruiters can focus on preparing and performing the interview. 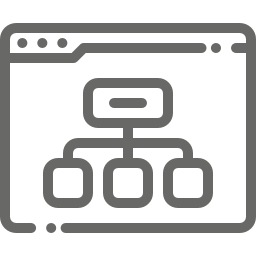 VidCruiter ensures our web interviewing platform features top-of-the-line security standards. 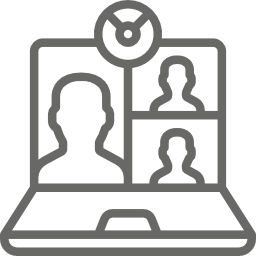 With the most secure video interviewing software available, and your data being our priority, you’ll be able to focus on the recruitment process and ensure every step is aligned to your organizational needs. When you use web interviewing internationally, you don’t need to be concerned about connecting to a server halfway across the world. 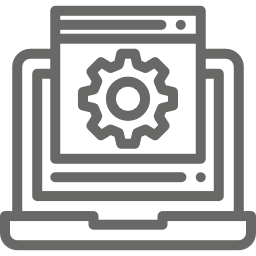 The system will automatically connect to the server located where you are. This allows recruiters who are working while traveling to complete their tasks quickly and efficiently, preventing any recruitment backlogs. We also offer data segregation if your organization requires the data to be stored in one country. 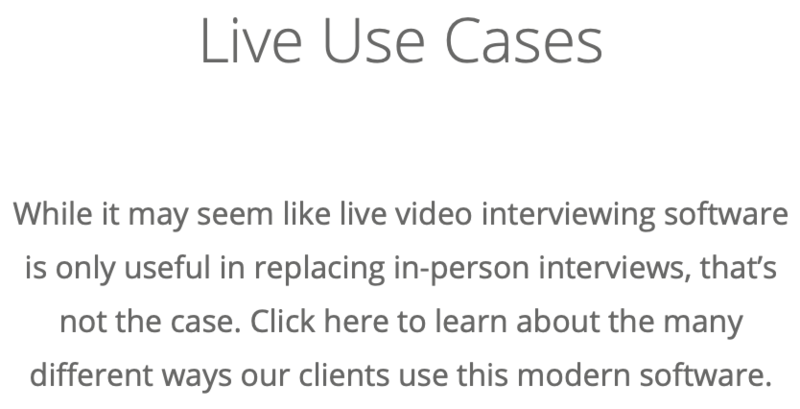 Is That All the Video Interviewing Software Can Do? 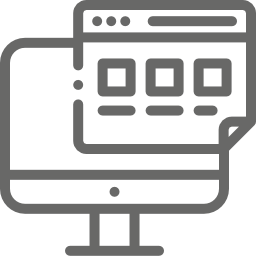 Clients who use web interviewing quickly learn there’s much more to this software than meets the eye. 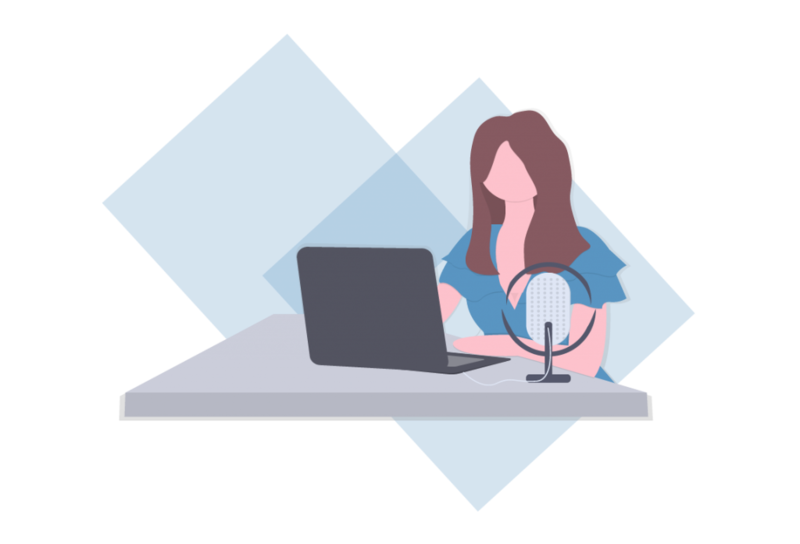 You can learn more by reading the articles below or you can join a live demo and learn everything you need to know about video interviewing from a product specialist. You can also look at general information about video interviews.